Osteo-arthritis, the most common form of arthritis, affects over 40 million Americans. The weight bearing joints and joints of the hands are most often affected by the degenerative changes associated with arthritis. It commonly causes pain, inflammation and decreased range of motion. Research indicates that certain nutrients can help regenerate the cartilage between the joints. It is the wearing away of this cartilage and the resulting bone rubbing against bone that is responsible for the pain and inflammation of arthritis. Glucosamine Sulfate and Chondroitin Sulfate provide the building blocks for repairing cartilage loss. 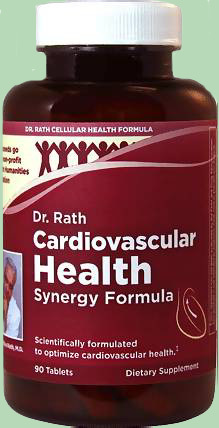 Research indicates that Glucosamine and Chondroitin rebuild and restore the thickness of joint cartilage. Another nutrient, turmeric, found in ginger has been used successfully in arthritis treatment because of its anti-inflammatory effects. 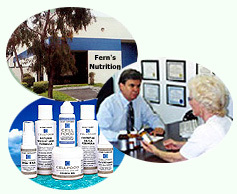 Fern's Glucosamine Chondroitin - High Potency Formulation with Glucosamine Sulfate and Chondroitin Sulfate to support Joint Health. Metagenics ChondroCare - A comprehensive formula designed to provide broad support for healthy joint function by featuring premium quality glucosamine sulfate, chondroitin sulfate, and methylsulfonyl methane (MSM) in addition to other nutrients that support healthy connective tissue. Metagenics Inflavonoid - Expertly formulated to provide relief from minor pain and support healthy muscle tissue. 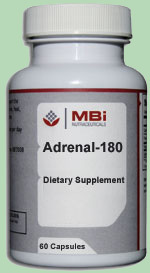 It is the perfect choice for those whose muscles are impacted by physical stressors, poor posture and even inactivity. Metagenics Kaprex - Provides a safer, worry free option for effective joint relief. This proprietary combination of selected plant components influences kinase signaling and the formation of certain substances that are associated with minor pain. Clinical testing suggests that Kaprex may offer a high degree of predicted cardiovascular, gastric, renal and liver safety. MBi Joint Drops - Homeopathic Drops for Temporary Relief associated with the large joints. 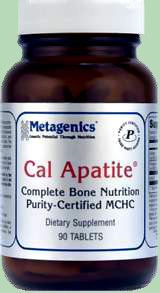 The ingredients contained in this preparation influence the metabolism of cartilage in particular.